Product Description: A detailed tribute to the hottest performers of the musclecar era! Chrysler's B-bodies and their huge engines and mid-size bodies made pony cars like the Mustang seem small in comparison. 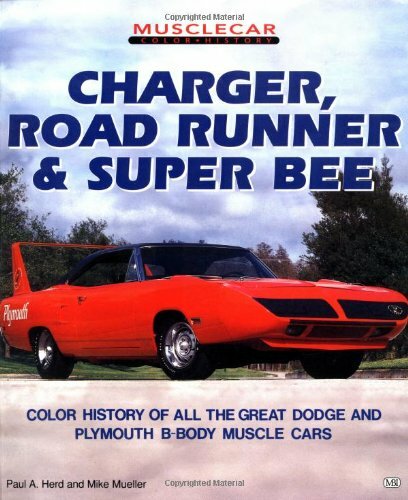 This volume traces the B-body's history from its Dodge Coronet/Plymouth Belvedere roots, through the 1968-1971 glory years, to its last gasp in the late 1970s. Includes engineering background, technical specs, and model details, plus interviews with Chrysler designers and engineers.